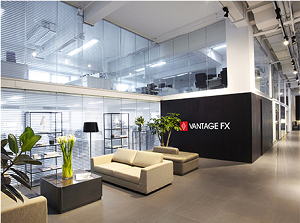 Given our strong background, we have always been able to offer superior access to global FOREX markets, which is why professional and retail traders are able to notice the remarkable difference between Vantage FX and other brokers. We continually strive to evolve our offering to ensure that we deliver a service that is far superior to anything else on the market. Smart traders make smart decisions, so become a Vantage FX client today and experience the difference. To put your Vantage FX trading account under our IB group you need to send an email to support@vantagefx.com. Find below the sample of the email. Please place my account no. : ............... (put your account number with Vantage FX) under IB 5267 (Financial Trading Art SRL). *The Rebates are calculated for one round turn lot (100,000 units) for Currencies, (100 oz) for Gold, (5,000 oz) for Silver, (1,000 bar) for Oil, (one contract) for Equity CFDs, and (one contract) for Equity Index CFDs.